In the days to come, one may blame the Cavaliers losing to the Warriors in Game 1 on any number of things. The referees, The Warriors (the referees buying the Warriors), matching shorts with a suit. All of that matters not one jot at the current moment, as we’ve all witnessed a grandiose moment in moronic sporting history. Even if you missed said moment, no matter. Like all great and terrible and questionable things, an image exists to define it. Like all art, one must consider the conditions of its creation. The above tableau illustrates the angst of a great King watching his Empire crumble at the hands of an incompetent subordinate. 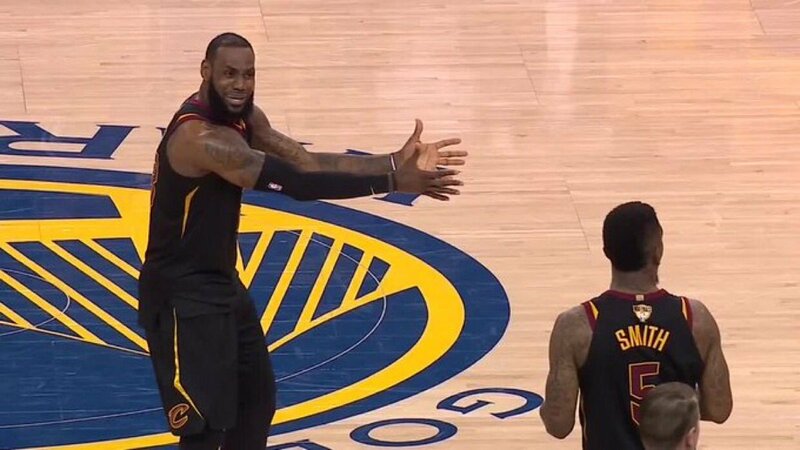 In this case, JR Smith, his court jester, decided to run out the clock on the assumption that his forces were ahead on the scoreboard. The game went to overtime, which they eventually lost 124-114. Now the pickle is the cause and effect this inaction causes. King James scored the fifth most points anyone has ever scored in a finals game (51), and thusly became the only one of that historic five to lose that game. The location is also telling, as this brainfart echoed around the hostile confines of Golden State’s Oracle Arena. If they were able to manufacture a bucket, 1-0 Cavs. Clearly, for LeBron to ascend to the level of Jesus’ Jesus, everything must go smoothly. It’s fair to say that he’s in double coverage, but that point is moot. He’s not looking to score. Read his face, the man is confused. It’s also fair to say that LeBron’s infamous silence on free agency provokes the audience to look for any hints of fracture, any moments that might hint at LBJ pulling up stumps. Dragging that trash pile on his back for 48 minutes, only to see said trash pile leak bin juice all over the fresh kicks of his hopes and dreams. The box score tells a story…the one where Bogie leaves Casablanca to pursue a new beautiful friendship. 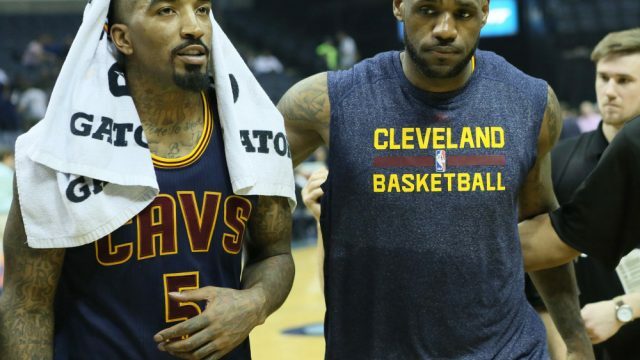 Is it too early to assume that the Cavs are done and LeBron is gone? Maybe. However, if he does, consider JR’s masterpiece as one that will suddenly increase in value.